As an author, you’ve probably been working on your project for some time. Because you’re so close to the work, there are inevitably errors that you’ll miss. Maybe it’s simply commas that are missing or you haven’t clearly stated a point because you know it so well. You don’t realize that your reader “isn’t on the same page as you”. It takes a fresh pair of eyes to see what you might be missing. No author should be without an editor. We make sure your writing communicates your message effectively. 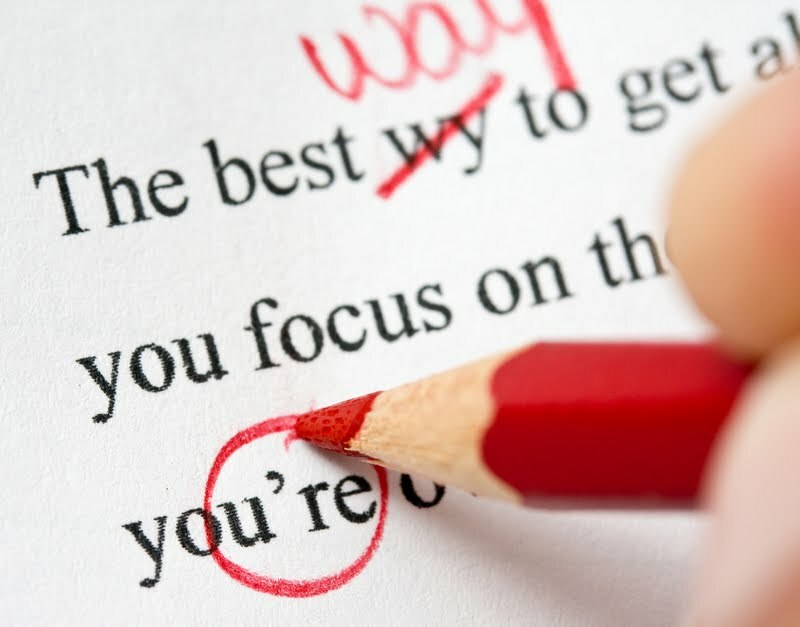 As your Editor, we’ll find and correct errors in typing, spelling, capitalization, grammar, verb tense, punctuation and usage. We’ll also look for words that you have either left out or typed twice. We may also suggest more effective words and phrases. Or, your project may require the more time-consuming review of substantive issues, such as organization and structure, presentation of content, whether there’s a need for rewriting to improve style and eliminate ambiguity, and to guarantee proper flow. What you’re writing will determine the style you should use. What voice are you writing in? Are you speaking to your audience by saying “you …” or are you speaking in the collective “we”? Maybe your work requires a more formal voice. AES makes sure that your style and voice stay consistent throughout your work. We also keep an eye out for sentences that are overly complicated or too long. We’ll also consider whether your writing matches the reading level of your prospective audience, making suggestions for greater effectiveness, as appropriate. If your project needs complete editing, where sentences need polishing or rewording to improve clarity and flow or the project needs a major rewrite, we can do some minor ghost writing for you. When we work with you, it’s on a project basis. We’re serving as both your writing coach and editor when we quote you a price for your project. For that, you get two edits by two different people, giving you more exposure for suggestions, comments, and recommendations. I would highly recommend using AES with Larry and Roberta Wennik for your editing needs. I am a newbie with a book to be published shortly for the first time. Just as I thought I was done and ready to publish, I realized I needed to have my references checked to be sure I cited correctly. I contacted AES to discuss my needs and was quoted a very reasonable rate. AES reviewed every chapter in detail for my references and along the way took extra steps to ensure my book will be the best it can be. Thank you for filling a niche with kindness and generosity at affordable rates done professionally.